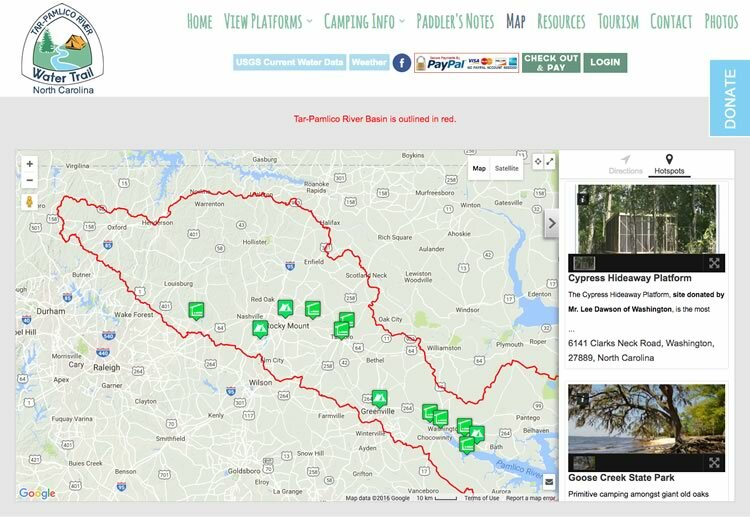 The Tar-Pamlico River Water Trail is a continuous system of camping platforms and primitive campsites spanning from the headwaters of the Tar River in Granville County NC to the wide open estuarine waters of the Pamlico River in Beaufort, serving as a gateway to the open waters in Hyde and Pamlico Counties. The organization that manages the trail needed a method for paddlers to reserve platforms and campsites online. We developed a reservation system that allows them to reserve one site for multiple nights or different sites for each night. Portable toilets can also be added to reservations. Site visitors can view photo galleries of each platform as well as an embedded Google map. Payment is processed by PayPal, and a cash option is available for logged-in admins in the event someone mails in a check or comes into the office to pay. The admin cash option insures that platform availability remains up-to-date in the system, to avoid double booking. The site also includes an interactive map that uses a KML file to display the boundaries of the watershed. 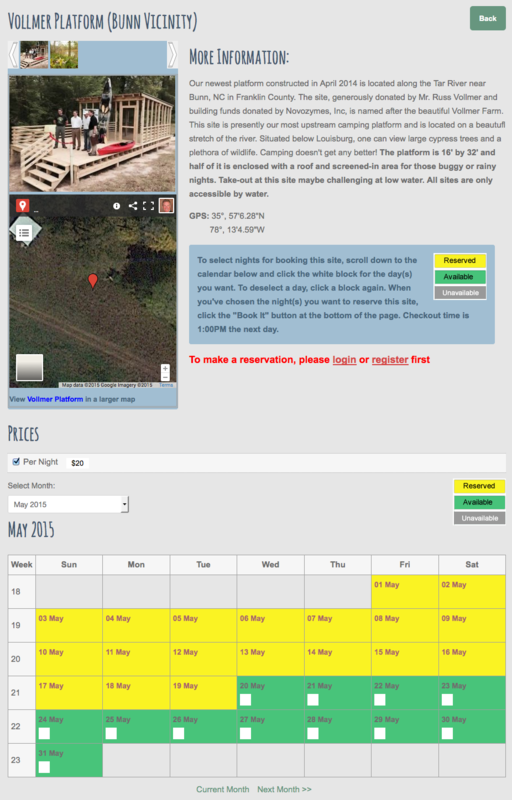 The location of each platform and campsite is displayed on the map, and a sidebar shows a photo and description of each location. Visitors can search map locations by keyword and also get directions.